Could Nurse Lucie keep the man she loved from a woman who had suddenly returned from his past? Was He A Man On The Run? Nurse Lucie couldn’t help wondering about handsome Dr. Warren. He was the most skilled surgeon she’d ever known, and it seemed strange for a man of his talents to bury himself in a small country clinic. Everybody at Guale Farms wondered about him. There were fantastic stories, lies and gossip, but nobody knew anything for sure. And then one day something shocking happened and Nurse Lucie learned the secret Dr. Warren wanted so desperately to hide. But did she find out too late? Was she too much in love with him by then to care? 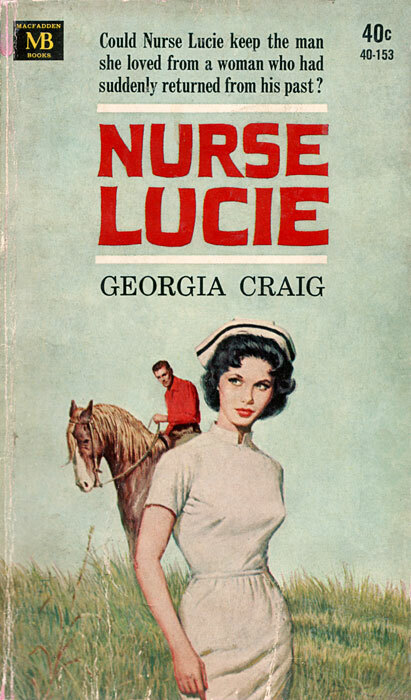 Nurse Lucie was reprinted a few decades later as Nurse at Guale Farms .